I already wrote an article about how to request information about several brands of watches, but that trick works on all kinds of things. 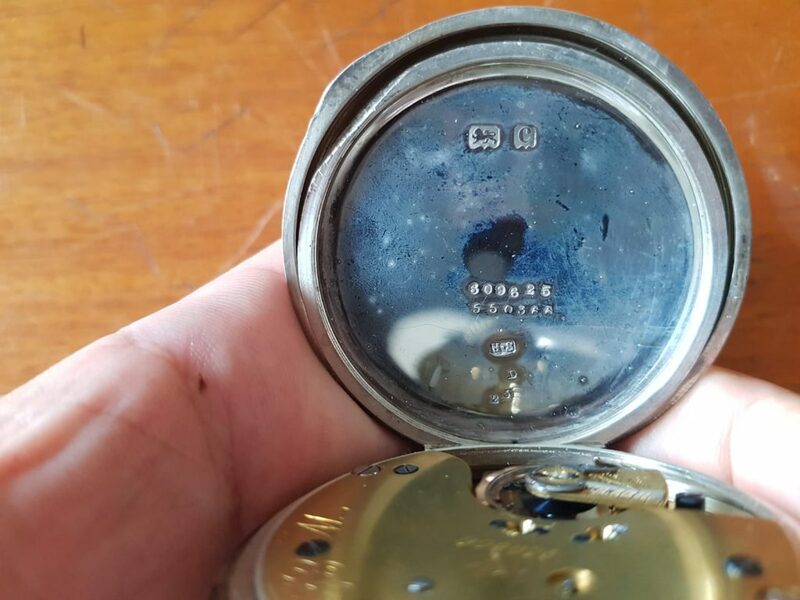 Some while ago I bought a pocket watch in a wooden case made by W. Ehrhardt. 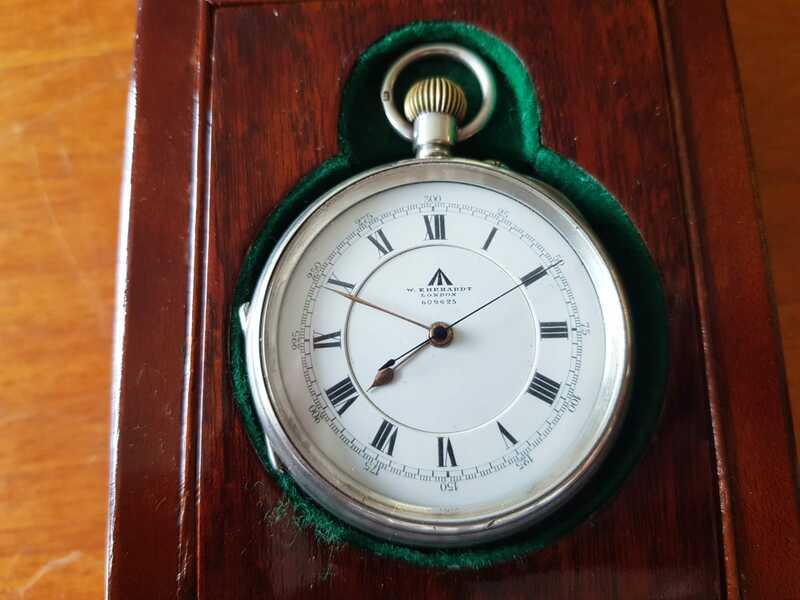 In this form it is called a deckwatch, a timepiece that was used on ships to have the actual time at hand, in combination with a sextant it can be used to determine your exact position on earth. This was a major breakthrough for exact navigation at sea. 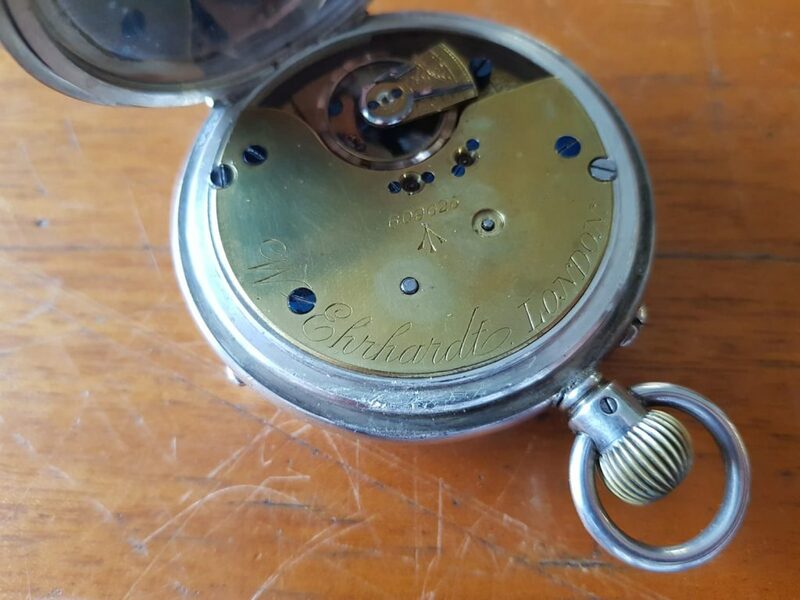 Since this watch has the British Broad Arrow on the dial (and the movement), it can be concluded that it was an issued watch, which means that it was bought by the British Army, Airforce or Navy. 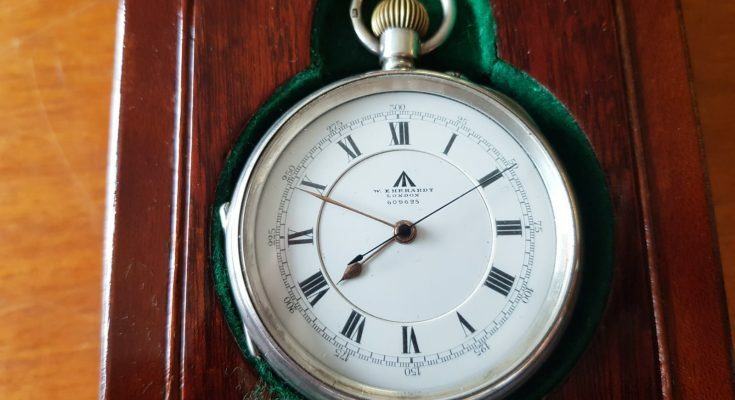 Since there has been very meticulous administration of these “tools” a lot of wristwatches, pocketwatches, clocks and marine chronometers that have been issued might have records at the famous Royal Observatory in Greenwich (which also is exactly on the prime meridian of Earth). And the good thing is, you can request information there. 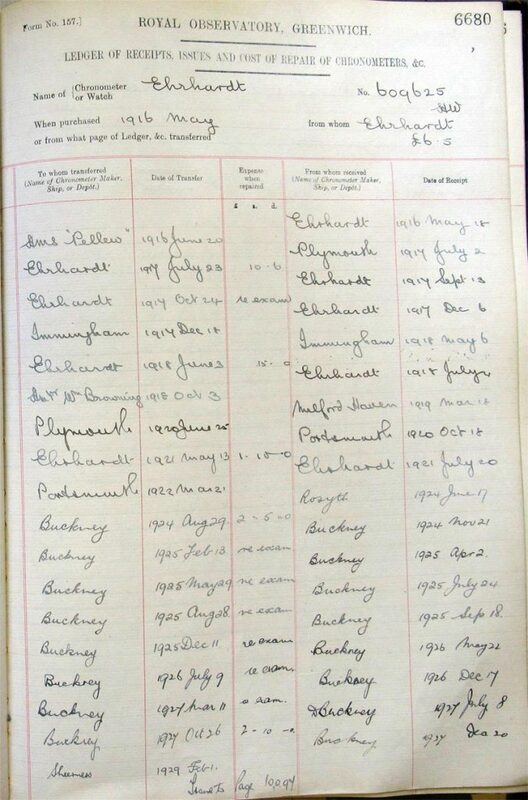 Volunteers will try to find information about your specific example and if found will provide you with all information in the archive. This is really awesome, and they only ask you for a voluntary donation. You can find information about requesting information about your example here. So back to the W. Ehrhardt deckwatch, I kindly received two pages about it from the ledger that contains all transfers and repairs for timepieces. 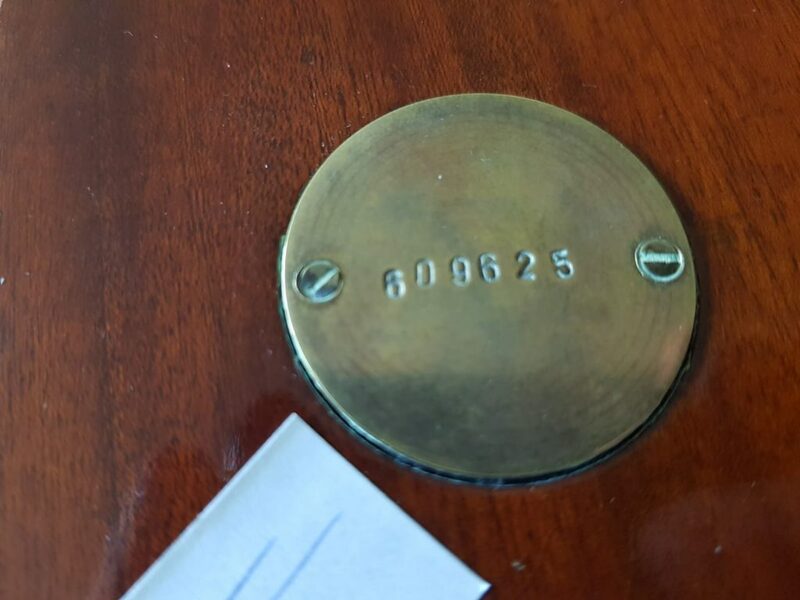 From this I learned that this deckwatch was placed on the HMS Pelew, an M-Class Destroyer, an actual steamboat warship that was finished in 1916 in the middle of the First World War. Pellew was damaged with 5 dead and forced to break off the action She was hit by a shell in the engine room, killing all the engineers. Luckily the turbines continued to run unattended for awhile and she escaped, badly holed and partially disabled, into Norwegian waters. 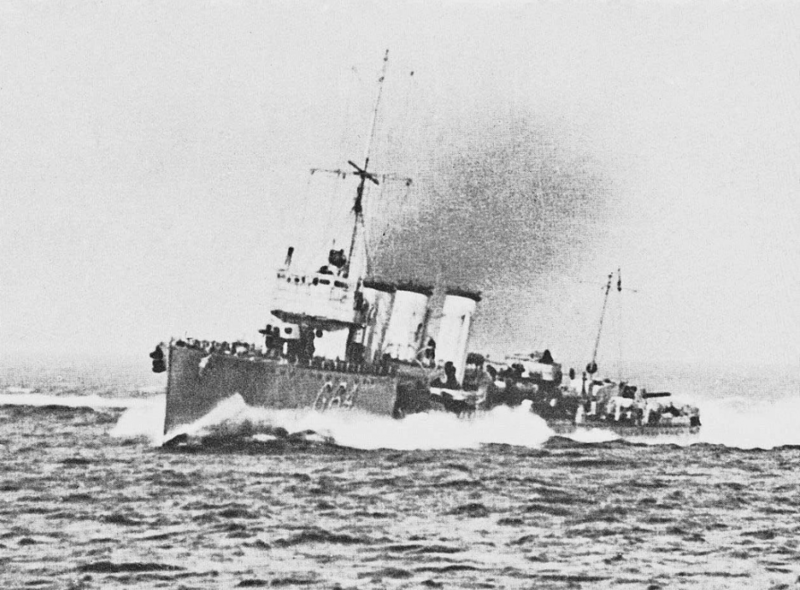 She was able to make repairs with HMS Sabrina before being interned and made her way home. So the HMS Pellew was the sole survivor of an attack by the German Navy. 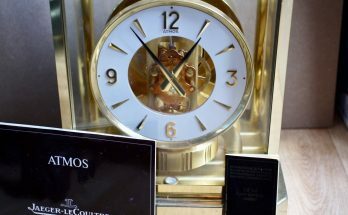 Very interesting to really delve in to the history that this watch was part of. Many thanks to the great people at Greenwich. I have offered this timepiece for sale here if you might be interested.